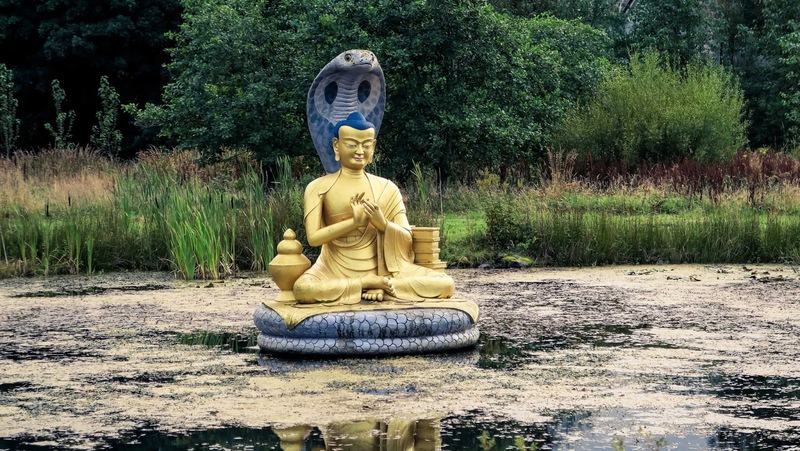 Nestled into the rolling hills of rural Dumfries and Galloway is a massive Buddhist temple - Samye Ling! 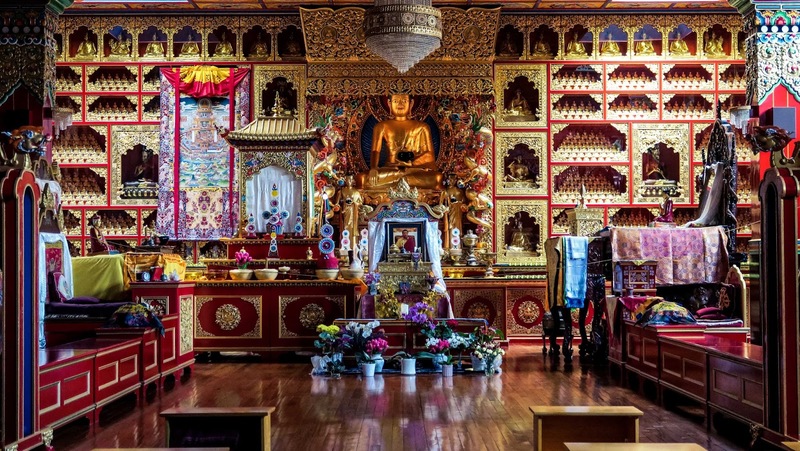 It's actually the first Buddhist temple in the west and definitely a visit if you are in the area! You guys know that I am a country girl but I love this little square of exotic diversity and acceptance in what some might assume to be an ultra-traditional/conservative area! I'm proud to be from this area and I thought I would show it to you! 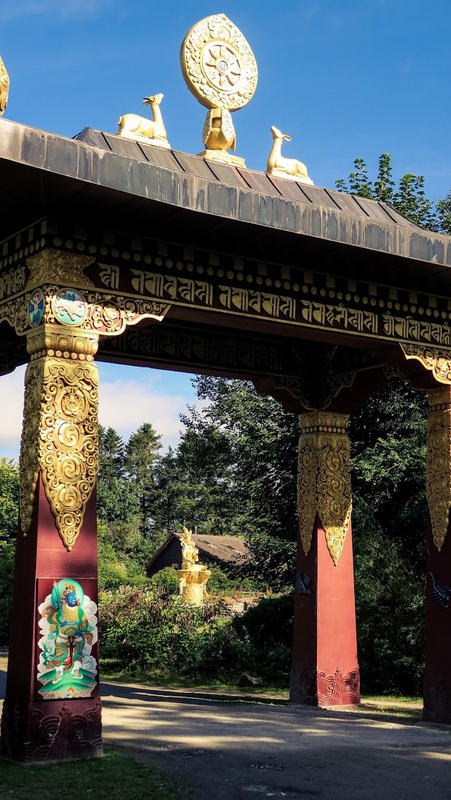 Samye Ling is such a fun place to visit- it's free and open to everyone and there are different events held throughout the year. Although I took these photos in October I once attended a light festival to celebrate the coming of the new year and it was amazing! If you are in Dumfries & Galloway take a trip up to the hills in Eskdale Muir, there's so much to learn and experience. 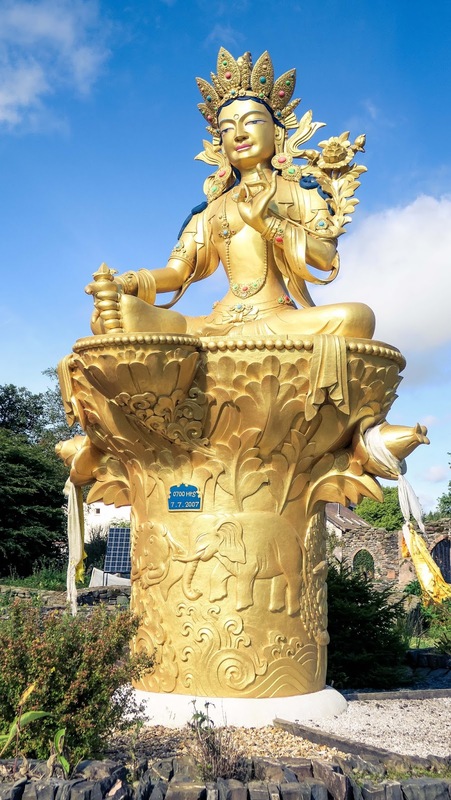 I'm not an expert on Samye Ling or the Buddhist faith so I'll just let the pictures speak for themselves! 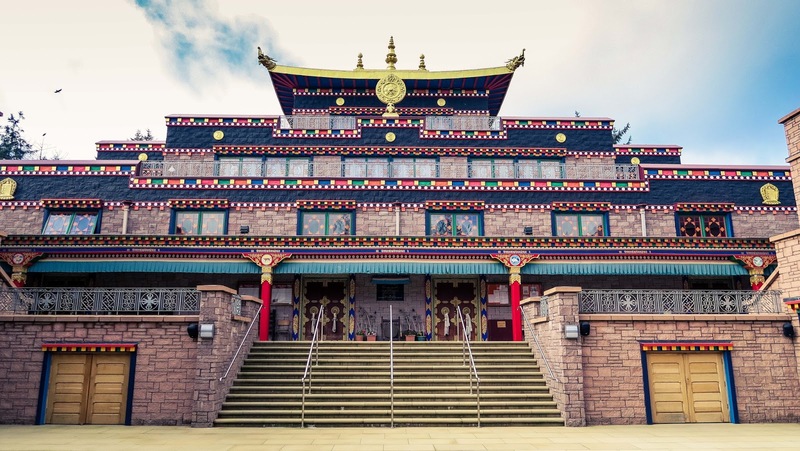 Have you ever visited Samye Ling or any other Buddhist temples? What did you love about it? 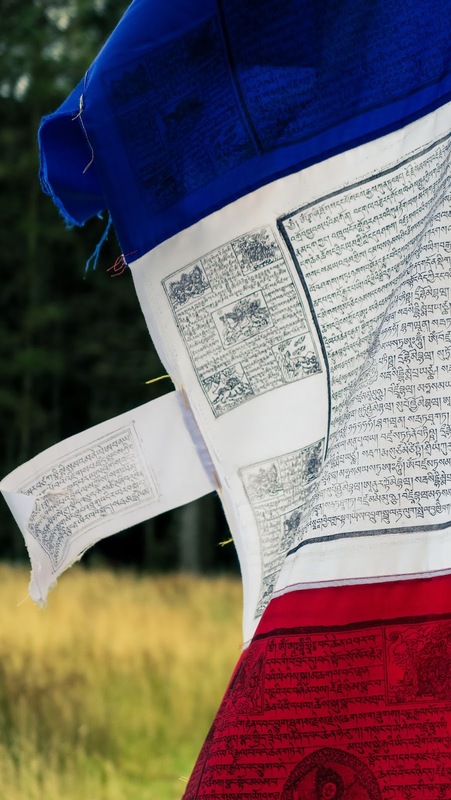 The prayer flags release prayers when the wind flows, whilst the prayer wheels never stop turning to release prayers as they turn. 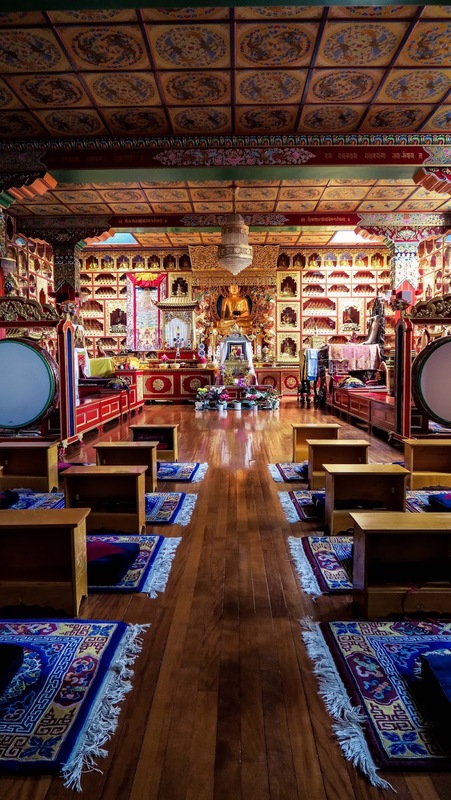 Samye Ling tries to be as self-sufficient as possible, meaning they grow as much as possible. You can even buy some of their surplus organic fruit and veg! 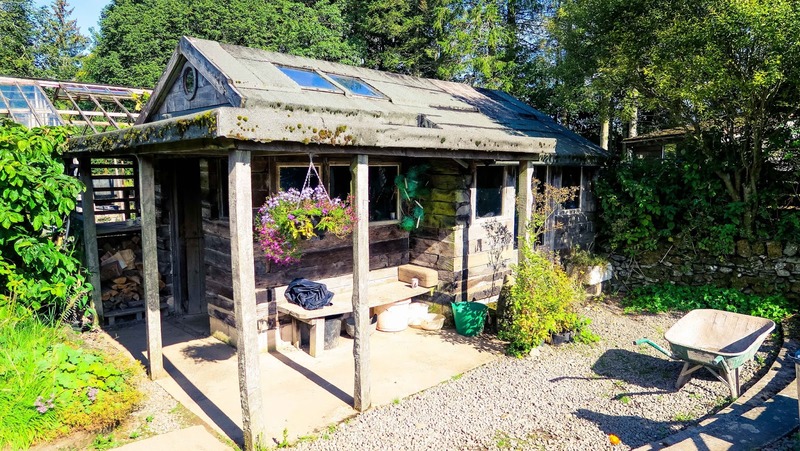 As we walked through the veg gardens we spotted the cutest little cabin made out of railway sleepers- we then took a million photos so we could try and recreate it one day! It really is hidden in the Scottish hills- a proper delight! Oh my this temple looks rather stunning. 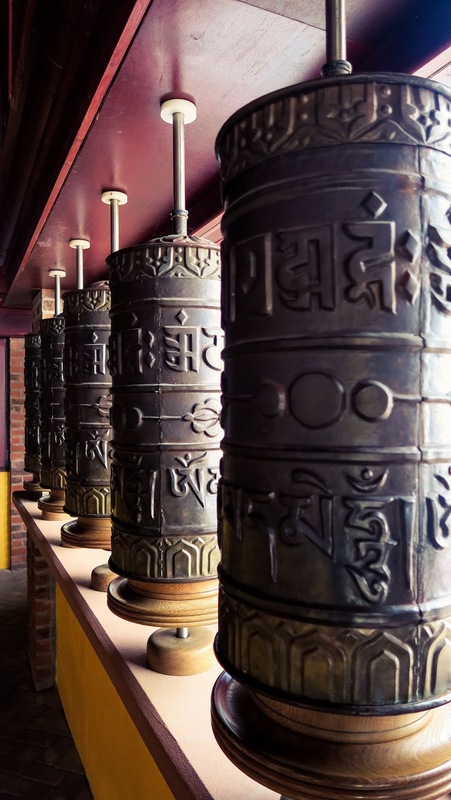 I would love to visit this temple. It's definitely worth a visit if you are driving through Scotland! Thanks Hanna, there are some amazing colours inside!